Of the roughly 2,000 known exoplanets — planets that orbit a star other than our sun — only about 10 have been imaged, and that was long after they had formed, not when they were in the making. 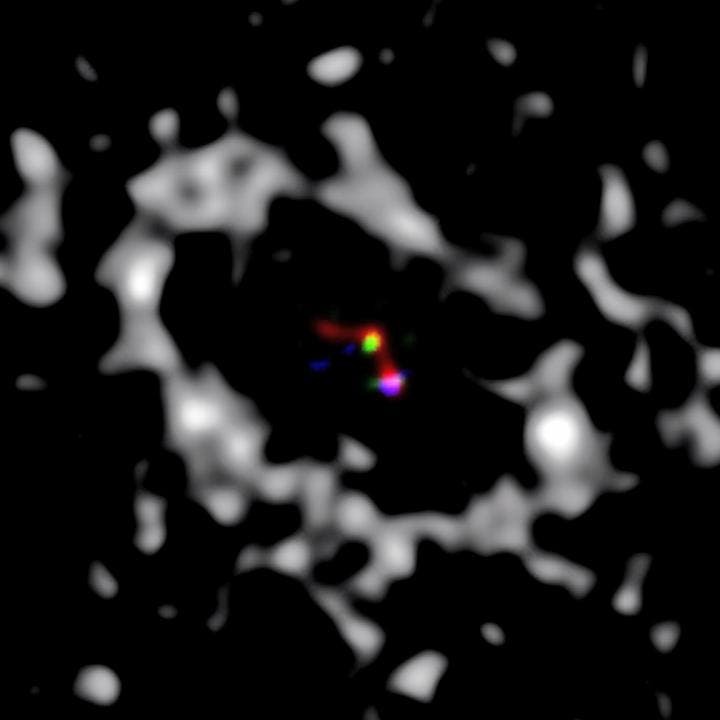 "This is the first time that we've imaged a planet that we can say is still forming," says Steph Sallum, a UA graduate student, who with Kate Follette, a former UA graduate student now doing postdoctoral work at Stanford University, led the research. Those instruments include the Large Binocular Telescope, or LBT, the world's largest telescope, located on Arizona's Mount Graham, and the UA's Magellan Telescope and its Adaptive Optics System, MagAO, located in Chile. Capturing sharp images of distant objects is difficult thanks in large part to atmospheric turbulence, the mixing of hot and cold air. "When you look through the Earth's atmosphere, what you're seeing is cold and hot air mixing in a turbulent way that makes stars shimmer," says Laird Close, UA astronomy professor and Follette's graduate adviser. "To a big telescope, it's a fairly dramatic thing. You see a horrible-looking image, but it's the same phenomenon that makes city lights and stars twinkle." The researchers' results were published in the Nov. 19 issue of Nature. Meteorite Reveals Ancient Magnetic Forces Formed Our Solar System –"Like a DVD of Our Origins"